The only thing better than reading a great book is bringing that book into the classroom. Below you'll find great Common Core based teacher's guides for Adam's books. With these fun and engaging activities, students will be able to bring Adam's stories to life in a whole new way. And best of all, they'll be learning great new skills at the same time. These teacher's guides are jam packed with classroom activities, games and more for Common Core based lessons to use in conjunction with Adam's books. Click an image below to view and download these free teacher's guides. A common core based teacher's guide for This is a Good Story! 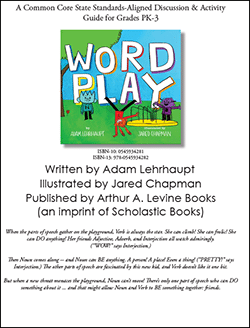 A common core based teacher's guide for Wordplay. 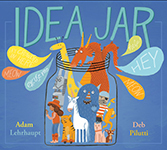 A common core based teacher's guide for Idea Jar! A common core based teacher's guide for Warning: Do Not Open This Book! 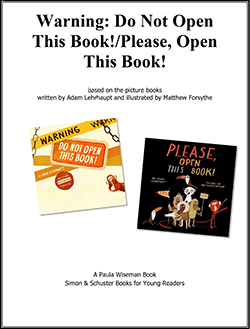 and Please, Open This Book! What's Better than a Teacher's Guide? Bring Adam into your classroom. 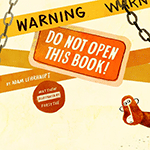 Adam is available for school visits, author appearances, workshops, Skypes and more. Book him today! Book Adam for a Visit Now!